3. Adding milk to tea negates the health-giving effects of a hot brew. 5. Cloudy apple juice is healthier than clear, containing almost double the antioxidants which protect against heart disease and cancer. 6. Dishcloths are purged of 99% of their bacteria during two minutes in a microwave. 11. Astronauts wear nappies during launch and re-entry because they can't stop what they're doing should they need to urinate. 15. 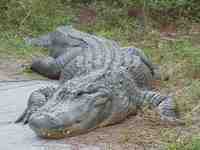 10% of university work from across the UK is plagiarised. 16. Chimpanzees make their own spears for hunting. 20. More than half (52%) of smokers haven't told their parents about their habit. 21. Only about half of China's population can speak the national language, Mandarin. 22. The brief flowering of the cherry blossom tree is taken so seriously in Japan that forecasts are used to plan festivals, and travel agents use them to plan tours. 23. To be found attractive, women should sway their hips and men their shoulders (although researchers call this a "shoulder swagger"). 24. The are 30,000 wild parakeets in London. 39. The secret to happiness is accepting misery. 42. Nearly seven out of 10 (69%) of adults are still in touch with at least one childhood friend. 45. Domestic cats can trace their descent to the Middle East. 46. Peanuts can be made into diamonds. 47. The prime ministerial Jaguar is called Pegasus. 53. Renowned atheist Professor Richard Dawkins likes singing Christmas carols. 55. Books used to be bound in human skin. 57. Sleeping on the job is tolerated in Japanese work culture, as long as you remain upright and obey certain other rules. It's called inemuri. 58. The Romans had roadmaps. 67. The brain can turn down its ability to see in order to listen to complex sounds like music. 68. Of the waste in UK landfills, 0.1% is plastic carrier bags. 73. UN population projections go as far as 2300. 80. Adults use maths skills 14 times daily on average and literacy skills 23 times a day. 85. A 23.8lb baby was born in the US in 1879, but it only survived 11 hours. 92. Zsa Zsa Gabor is related to Paris Hilton. 100. Dogs can have two noses. In honor of cold weather in the Northern Hemisphere, here is a treat from South Georgia Island in the Southern Hemisphere. The sea near there stays cold all year, which is perfect for penguins. The island is home to one million penguins. 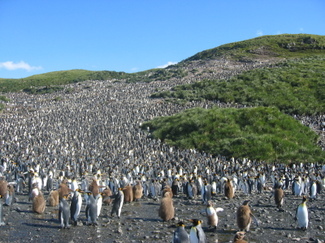 The following picture shows about 120,000 of the penguin (click to enlarge). Merry Christmas and Happy Holidays from SquirrelNet. Let's strive for peace on earth and be kind to our friends around the world. Who wrote the Christmas songs from all those Christmas TV shows? The picture is taken from Christmas Carols and Songs and shows Burl Ives on the left and Johnny Marks on the right. What were the original names of Santa's 8 reindeer? Dunder? Blixem? As a follow-up to "How Old is Rudolph the Red-Nosed Reindeer? What age is Rudolph? ", we now ask "What were the original names of Santa's 8 reindeer? Dunder and Blixem are cool names indeed. And it's Dunder as in Dunder Mifflin, the fictitious company from The Office. Blixem sounds like a website. In fact, there are many Blixem websites. Google's favorite is Blixem.co.za, a video production company in Johannesburg, South Africa. How Old is Rudolph the Red-Nosed Reindeer? What age is Rudolph? I was just thinking - how old is Rudolph the Red-Nosed Reindeer? I understand that he was an add-on to Santa's reindeer crew, but was he there the first time the story was told --- or was he truly an add-on to the story itself? Answer: Rudolph is about 116 years younger than the other 8 reindeer. 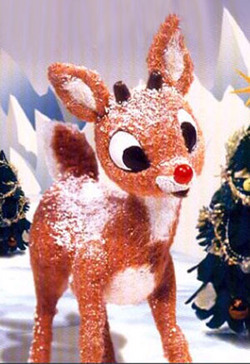 So as of 2007, Rudolph has been a part of the Santa story for 68 years. Just ran across the following Disney portal site, appropriately called TheDisneyPortal.com. Not much on it now, but it does pull together various feature articles and headline news on Disney. Some of you may have noticed that SquirrelNet's blog has been running a bit slow over the past few weeks. Our hosting company Typepad reports that they've corrected the problem. They host 10 million blogs so the performance issue impacted millions of people. As an interesting aside, you may want to read about the history of Typepad, which was founded by Mena Trott in 2001 with the help of a Japanese investor. Here's a quote from that page. For me, Dollarshort (her first blog), was a creative outlet, a place for me to tell anecdotes about my childhood, attempt to illustrate humorous accounts of our daily lives, and keep a traditional weblog with links to sites I found interesting.